Often the discussion of ideas breaks down because the accusation of rudeness is used to imply that whatever the person being “rude” is saying is untrue. In my experience those who follow any of the three Abrahamic traditions generally expand rudeness to anything appearing to question the nature or existence of their god. Accusations of blaspheme tend to be brandished about in these situations. When I was a believer I noted how easily I could be offended. It made me wonder how solid my idea of truth was if it was so vulnerable to criticism. I have noticed that if something is true, it doesn’t need to be defended. I simply came to the point where I couldn’t defend my Christian beliefs in any objective way. And on the subjective level I came to realize how many of my Christian beliefs were extremely destructive to my quality of life. On a personal level the subjective is absolutely needed to make life full. Love, beauty, art, music, and whole host of inner experiences make life quite wonderful. So if one claims their belief brings them a sense of wonder and joy, there is no argument since the truth of their wonder is based solely on their interpretation of the experience. They are absolutely the arbiter of their own truth as far as how it affects their enjoyment of life. Now its quite different when that person decides that since their subjective experience is wonderful then everyone has to have the same exact experience to feel wonderful and until the whole world has that experience, the universe will simply not be “right.” And this person decides that those who do not agree that this experience is the one and only true way, are in fact condemned to burn in hell forever. That is essentially what many Christians are doing. This has no basis in truth or fact and is simply untestable in any objective way what so ever and yet confident claims are made of its universal veracity. In addition I would guess most Christians don’t actually have an experience to reference, but are simply defending something they have been told is true. Now I can be dishonest and tell you that I respect your belief, when in fact there is nothing believable about it to me, other than I can believe that it makes you happy. And even though Christians feel it is their duty to “love” me so much by telling me that my lack of belief makes me amoral and a evil influence on society, I can still appreciate the obvious joy something like “God loves me” can bring to a person. When I look at Christianity’s track record of violence, manipulation, and oppression, I find no evidence that it should be the universal “truth” that the whole world needs to follow. I really can’t find any philosophy or religion that could fit that bill. I do know a number of methods for learning and adapting I could recommend. The deal breaker for bridge building is the fact that every Abrahamic sourced religion believes that the whole world should be like them. Any bridge building done by them would be a lie. It would simply be a means to convert everyone to their idea of what is true. The type of bridge building implied by the cartoon can only be done when religious belief stays in the realm of subjective experience and communication is done for the motivation of curiosity and understanding. Christians gives a lot of lip service to truth and yet becomes offended when someone who disagrees is completely honest. When someone is honest with me that information is very valuable. When someone simply tells me what I want to hear, that person doesn’t care about me, but sees me as a means to an end. And this happens too often in Christian communities as the latest “mission” project or “cause” defending Christian values sweeps through town. We live in a weird world where large groups of people holding rigid views of god and truth are in a continual collision course, even among themselves. One simply needs to publish the right offensive cartoon, say a particular “liberal’ phrase, or accidently misunderstand a small point of a complex culture to ignite a holy outrage. This spawns leaders telling the group they need to fight for their truth and how the world is going to fall apart unless they give everything. They claim that they are the persecuted one’s even if they are the majority and that anyone who is against their beliefs is motivated by evil intents to destroy all that is good and wholesome. And the latest is that anyone who is against their religion is bigoted. I guess I should never under estimate the power of fear. Right now there are several debates going on within city councils around the country of how to handle prayer given before council meetings. The city of Lodi in California has been one of the most prominent in the news. The group "Freedom From Religion" has threatened to bring a lawsuit against the City of Lodi if it doesn't enforce its own policy of non-sectarian/non-denominational prayers before council meetings. Their specific issue is the use of the name of Jesus in the invocation, which happened 39 times last year. Just recently, the council received a letter from Chaplain Gordon James Klingenschmitt who formed "The Pray in Jesus Name Project" in Colorado. In this letter he stated, "If you vote the wrong way, or silence prayers or leave in place the current policy that suddenly enforces censorship of Jesus' name from prayers (as never before) you should be aware of our plan" to place a billboard in the Lodi area listing how each council member voted under the column headings "For Jesus" and "Against Jesus." Several solutions have been offered. 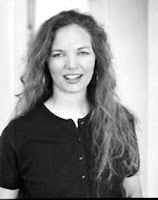 "In the memo from Pacific Justice Institute, which is based in Sacramento, Chief Counsel Kevin Snider discussed leading cases involving public invocations and encouraged the Council to adopt a neutral policy allowing ministers and other members of the public to open the meetings with prayer or other comments, free of any censorship by the Council. Under such an approach, prayers in Jesus’ name could not be singled out for exclusion. PJI also offered to represent the Council at no charge. In a federal case in Washington, D.C., PJI is currently defending Revs. Rick Warren and Joseph Lowery, who were sued by atheists for offering public prayers at President Obama’s inauguration." Mike Johnson, senior legal counsel for the Christian-based Alliance Defense Fund, believes case law allows religion-specific public prayers so long as they don't disparage other faiths. Whether or not prayer before government functions is constitutional or not seems like a side issue to the tactics these so called Christian organizations use to push their views and raise money. There is a lot of use of the word truth and a lot of claiming to stand up for the truth. They claim they are defending the truth. But it seems like truth is less like a practice and more like a label. I want to look at the tactics used by these organizations. It seems that they have fallen to the mentality of the ends justify the means, which isn't really standing up for anything resembling truth. Particularly if lies, exaggeration, and misrepresentation are the so called methods of standing up for the truth. A glaring example of this is the organization "The Pray in Jesus Name Project" is using the claim of free speech to allow them to pray in public are at the same time attempting to limit free speech by preventing those they disagree with from speaking. 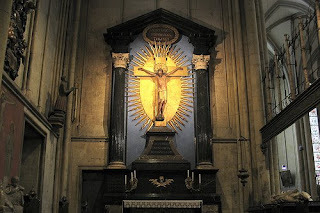 For example they supported the movement to prevent Obama from speaking at Notre Dame at Stop Obama at Notre Dame Their line at the top of the page equates Obama with Pilate by asking, "Would you invite Pilate after he condemned Christ to death?" It boils down to a small 53 page book called "Your Life, Your Choices" that was edited under the Bush administration with consultation of an inter-faith panel. The main voice against this book is James Towey, president of Saint Vincent College. He was director of the White House Office of Faith-Based Initiatives (2002-2006) and founder of the nonprofit Aging with Dignity. He also has a book he has written which he has been trying to sell the military to replace the book "Your Life, Your Choices." There is a "slight" conflict of interest there. 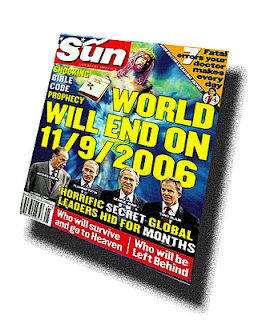 I think what we have is a group of people that have learned how to create Tabloid Christianity. They have learned how to create "hot" issues to rally the gullible Christian public for the purpose of raising money. They get to do this tax free and provide a living for themselves. Just as Fox News, led by Rupert Murdoch, learned how to tap into this tabloid culture, so have these so called spiritual leaders. 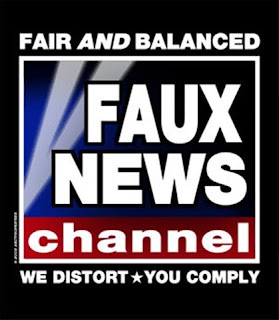 This is evidenced by Fox's rise to the number one "news" channel. And it is evidenced by the ability of organizations like Pat Robertson's "700 club" and James Dobson's "Focus on the Family" to raise millions of dollars based on the fear of evil groups like gays, atheists, secular humanists, and other "evil" groups taking over America and its families. When you add the claim of God's blessing, the appeal becomes unassailable by reason. This became obvious as the statements made by both Dobson and Robertson became more and more bizarre. What I think we are looking at is an appeal to the addiction of self-righteousness. If I can find someone else who is "destroying our American way of life" or "destroying the American family" or some other exaggerated threat, then I can use that to ignore my own responsibilities. Or I can derive meaning for my life because I am "fighting the good fight of faith." This is the antithesis of spirituality. 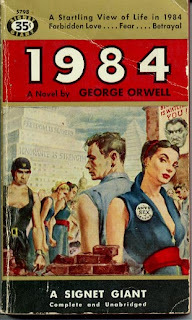 It also has an eerie similarity to the tactics described in the book 1984, only these are based more on the motivation for profit, recognition, and influence than totalitarianism. What is becoming more apparent is the willingness to express violence toward those who would disagree with this "moral" majority. They increasingly have become more like bullies than spiritual leaders. There are a number of specialists that have risen around the need to teach Christians how to defend their beliefs in these exaggerated threats. They offer classes in how to win debates, silence detractors, and gain influence. Their tactics have little concern over the search for truth. They talk from positions of authority, rather than evidence. And when they do present what they call evidence, it is based on assumptions of authority. For example in the debate over whether a fetus is a human being or not, they state that if you can prove that the fetus is not a human being they will concede defeat. This is a trick because the question assumes that the humanity of the fetus has been established. One could challenge them to prove that the fetus is human. When the debate shifts to the early pregnancy period they use the term life, rather than human being when referring to the grouping of cells. This ignores that if life itself is sacred in any form, then killing any life is murder. I guess I better stop mowing my lawn or eating chicken. But this is HUMAN life is generally the counter which is a subtle way of calling a group of cells a human being. It simply keeps going round and round claiming to be based on evidence and reason while ignoring the underlying authoritarian belief that its life because God says its life. While I'm not making a case for either polarity in this post, I want to point out the need to keep things polarized. As long as there is an issue to fight for, then there is something to raise money and sell books for. If my opponent tries to compromise, then I will point out that they are only shifting because they know their positions is wrong and that I am right. Or if it appears to be reasonable and I might have to compromise my position, I bring out something else to be really scared about whether its related or not. In the abortion debate this is often dead late term abortion pictures or the argument that if we don't consider a few cells to be human life, its only a short step to killing unwanted people. Or even better, I misrepresent my opponent's position in my own words, and debate that. All this seems to be an attempt to derive meaning from fighting evil, whether its manufactured or not. And in Christian belief evil will never be defeated until Jesus comes again. So even if evil is defeated, it generally won't be recognized because the Bible says things are only going to get worse until Jesus comes again. Fear is a powerful motivator and a powerful way to raise money, gain influence, and manufacture meaning. Its something that Tabloids have recognized as well. And to me, it appears that many Christian organizations have recognized this too. Where does that leave the truth? And where does that leave love as a motivation for meaning? Maybe someday we will be immune to tabloids, but until then our addiction to self-righteousness and judgment seems to be the big money maker. The book “Christ In Egypt, The Horus-Jesus Connection” is as much a story of Christianity as the New Testament. It is a story of the evolution of religious belief , beginning in Egypt, that continues today. D.M. Murdock begins this story in the introduction to the book. She describes the nature of how this story is told. The Jesus myth is not simply a previous tale of Horus with the name Jesus plugged in where one would read Horus. In fact there is not a single narrative of Horus that we could cite to plug Jesus into. Understanding this story requires an understanding of many different influences. In many ways this book reads like a detective novel. The transformation of Egyptian religious belief is as much a syncretism of various gods and goddesses as is Christianity. It sets the mode by which humankind created religious belief. What I gather from her description, is this method of syncretism is what the ancient pagans saw as the perfection of the god myth through combining the tales of many different gods. There is evidence that the Egyptians were essentially monotheists and saw the various gods as simply one aspect of the great unknown creator god. They would have no problem combining different gods and their characteristics since they would see these as combining parts of a single great and mysterious god. 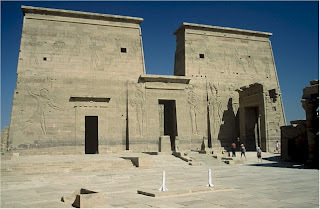 This is expressed in hieroglyphs which picture a human body and the heads of two different gods on one single body. An example of this is a Horus-Seth united in a single being from the Amduat. Pagans in general had no problem including the gods of other nations and cultures to perfect their god myths. Egyptian influence on Greek, Roman, Persian, Hebrew, and other ancient beliefs is pervasive as you will see when you read this book. Yet, even within the last 100-200 years we see various forms of Christianity being combined with modern ideas rather freely. This is easily seen by comparing sermons from 100 to 200 years ago to the sermons today. Some would argue that essential doctrines haven’t changed. They can only claim this if they dismiss as Christian those forms of Christianity they disagree with. Since we have many more versions of Christianity today than we did even 100 years ago, it would be difficult to pin down even one official version of Christianity to refute syncretism. And these various versions do disagree on what many consider to be essential doctrines. These doctrines include the nature of Jesus, the method of salvation, method of baptism, authority of the Bible, authority of the Pope, day of worship, and many others. This was as true in the 1st century as it is today. What we find in this book is that Christian beliefs and practices are far from being unique, but are drawn from ancient practices that existed sometimes thousands of years before Christianity. Some of these practices were well known in the ancient world and some were parts of mystery religions. These practices and beliefs were combined together to meet the needs of the 1st century and then synthesized by force into what we call orthodox Christianity by the Roman empire. Lets look briefly at some of the claims of Christian uniqueness. The virgin birth of the Christ (Anointed) child is central to the claim of Divine origin for Jesus. It has been presented as a unique feature of the Christian religion and the implication is that when it does occur in pagan systems of belief it is a late, post Christian, addition. D.M. 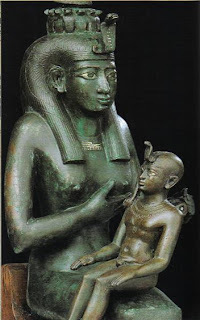 Murdock provides extensive documentation of not only the virgin birth being a characteristic of Horus, but his mother Isis is a prototype of the virgin Mary. 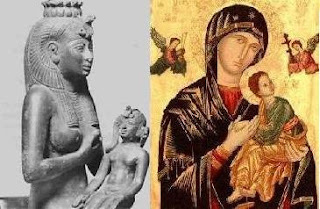 Early Christian imagery of Jesus and Mary is clearly a copy of the Horus/Isis virgin mother with child. The name Mary means beloved and is commonly merged with the name Isis in the form of Meri or Isis-Meri or Isis the beloved. Virginity has a number of reasons for its inclusion in these god myths. Later reasoning emphasized the need for purity and in the case of Jesus, virginity was proof that Jesus did not come from a human source. One reason that it is so difficult to find other examples of virgin birth within the literature is because the term parthenogenesis is used for virgin (partheno) birth (genesis). This has been done to hide the fact that it is difficult to find any great leader or god in the ancient world that wasn't the product of virgin birth and is far from unique. 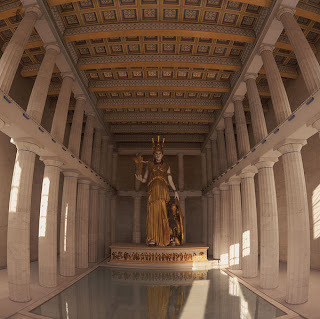 The word in greek παρθένος parthenos means virgin and is the prominent root of the Greek temple to the goddess Athena called the Parthenon. This structure was predictably converted to a Christian church dedicated to the Virgin Mary in the 6th century. In the early case of Isis the reason for virginity was quite different. 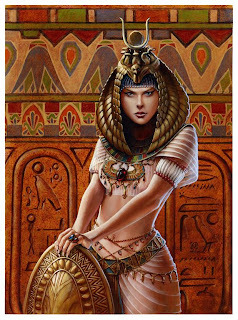 Isis, being the Goddess creator and origin of all life, would have to birth the universe as a virgin. This would make sense to the ancients who would observe that life emerged from the female gender in most species of life. So early creator gods were Goddesses and Earth itself was called Mother Earth. More specifically, Isis births the sun as baby Horus on Dec 25. In the inscription over her temple at Sais you read "The fruit I have begotten is the sun" And with Isis, her virginity was self renewed to the point that she could be a perpetual virgin. After being born in the form of a helpless child the Sun continued to age and take different forms throughout the year until it would be born again on Dec. 25, the winter solstice. This was the turning point where the daylight hours would begin to get longer. 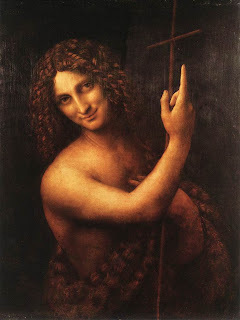 What is interesting is that John the Baptist, Jesus' cousin and preparer of the way, was born exactly 6 months, at the summer solstice, before Jesus. The Christian celebration of St. John occurs at this time in which the daylight hours are the longest and would represent the beginning of the stage of the sun in which its hours would be getting shorter. It is interesting to note in John 3:30 (the most gnostic gospel) it states that "He must increase, but I must decrease." in reference to Jesus. D.M. Murdock continues to show how Sun worship was an essential part of the syncretic mixture of religious myth which created Christianity. And she clearly establishes that Dec. 25 and the celebrations around the birth of the new sun existed thousands of years before Christianity and were unmistakable features of the 1st century consciousness. This was such a problem that early church fathers had to address accusations that Christians were not Sun worshippers. This is understandable considering all the solar and astronomical references to Jesus as the light of the world, the bright and morning star, the victory of light over darkness, and others in the New Testament. "St. Cyprian spoke of Christ as the true sun (sol verus)." Cyprian also writes, "O, how wonderfully acted Providence than on that day on which that Sun was born...Christ should be born." 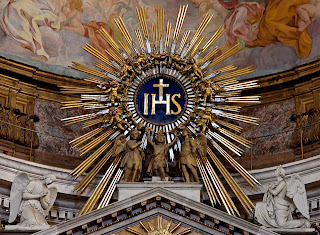 "St. Ambrose says precisely, 'He is our new sun (Hic sol novus noster).' Similar figures are employed by Gregory of Nazianzus, Zeon of Verona, Leo the Great, Gregory the Great, etc." Christ in Egypt page 112-113 Clement of Alexandria calls Christ the "Sun of the Resurrection"
The church father Tertullian (c. 155-230 AD/CE) writes in a rather defensive manner to the charge of worshipping the sun, "...Others, with greater regard to good manners, it must be confessed, suppose that the sun is the god of the Christians, because it is a well-known fact that we pray towards the east, or because we make Sunday a day of festivity. What then? Do you do less than this? Do not many among you, with an affectation of sometimes worshipping the heavenly bodies likewise, move your lips in the direction of the sunrise?" Ad Nationes 1:13 Augustine (354-430 AD/CE) had to refute the same charges even later in Tractates on the Gospel of John. When we consider the Egyptian winter solstice celebration we find Epiphanius, Plutarch, and Macrobius describing a similar ceremony that further indicates why Pagans would accuse Christians of worshiping the Sun. Macrobius writes in Saturnalia (1:18:10), "...at the winter solstice the sun would seem to be a little child, like that which the Egyptians bring forth from a shrine on an appointed day, since the day is then at its shortest and the god is accordingly shown as a tiny infant." In the case of Epiphanius the passages describing this celebration in Alexandria are deleted in the Migne edition which presents a case of deliberate and egregious censorship. This is because it describes an infant child brought forth as born of a virgin from the lower depths of the shrine of Core, which means virgin. This wooden image of the child sun is carried on a litter and has the sign of the cross inlaid with gold on each hand, both knees, and on the forehead. Gregory Nazianzen (329-389) describes the Greek form of this celebration in which is heard the festal shout, "the virgin has brought forth, the light grows." This is just the tip of the iceberg. D.M. Murdock has much more information, with references, on the Egyptian origins of Satan, the resurrection, the star in the east, the three kings, the 12 followers, the miracles, the crucifixion, Proto-Christianity formed in Alexandria, and many others. This book will take a while to get through, and opens up so many more questions and avenues to explore than I ever thought possible. With this book, it is going to be far more difficult to deny the pagan origins of Christianity. It is going to be far more difficult to claim that Christianity is "The Truth." That being said, it does open up many of the sayings ascribed to Jesus. These sayings can be applied in a much broader context and allows them to reveal many of their original intents within the mystery religions of the 1st century. These Bible sayings and stories are an integral part of the Western mind. Having the freedom to look at these stories as myths places them within our consciousness in a way that allows them to speak out from under the subconscious threats of death and condemnation. No longer does fundamental Christianity have a hold on these truths that are rather lifeless and frightening when applied in reference to beliefs in an eternal hell and the obsessive need to have Jesus become everyone's "personal savior." D.M. Murdock obviously put a lot of work and research into this book. It is well worth reading and reveals insights into what is the true origin of Christianity. This information should have been available to the general public long ago. It is understandable why this hasn't been presented before because for many centuries any criticism of the "truth" of Christianity would be met by death, loss of the ability to make an income, and other social pressures. I have also learned to appreciate the finer points of the Egyptian religion. It is no longer this dark and scary entry into the land of mummies and monsters born of curses and superstition. It is a very sophisticated philosophy of light and darkness, good and evil, and the purification of the soul. I highly recommend this book and encourage you to read it slowly and thoughtfully, taking time to place yourself back in time with D.M. Murdock when humanity saw things much differently. First of all I want to thank everyone who sent me words of support and comfort with the death of my father. This was a life transition that has created a profound force for change in the way that I consider life. One of the purposes of this blog has been to look at how one can view the world with meaning in a post-Christian era. Death, birth, and re-birth have been mysteries explored by many religious and philosophical practices since recorded history began. I would like to explore the values and the mythical sources of meaning around these mysteries and how we might create new myths in the post-Christian era as an introduction to my next post. What I have noted is that atheism and agnosticism in this country defined itself by what it was against and some atheists abandoned any exploration of the subjective as being a way of knowing truth. This labeling of people who don't believe in specific gods is limited by the definition of atheism itself. Atheism has no creeds, beliefs, or goals. It simply states that there is no god or gods. If the subjective experience was addressed it was often reduced to biochemical reactions that created the illusion of religious or spiritual experience. Or spiritual experience was presented as a form of addiction or “the opiate of the masses.” This is very understandable, considering the violence and manipulation that has emerged from many different religious systems throughout the history of humans and continues to manifest through various religious teachings based on fear and intimidation. Another concern expressed has been the fear that without the restraints of religion and/or spirituality, corruption, violence, and suppression by the strong will create a world that no one wants to live in. On what basis can we value life? Can there be multiple foundations of value? How do we understand the meaning of life and death? Does the apparent randomness of life mean that there is no meaning? The idea that consciousness might be something beyond physical reality has often been dismissed as wishful thinking by those who want to be cautious about supporting anything that might look like religion. Science and reason are the only things that they are willing to trust and even this is accepted as partial and destined to change. One has to learn how to live with a lot of uncertainty with these views. This is a very humbling experience because one is forced to realize how little control we have over outcomes, particularly when it comes to death. It is understandable that a person would find a belief in an all powerful god, that will make sure everything works out eventually, very attractive and persuasive. And once one accepts that there is an all powerful god out there, the need would be created for stories about this god’s motivations, wants, and how one might gain this god’s support. It might explain why one would want to violently maintain this illusion when it is attacked or revealed to be based on little more than wishful thinking. Without anything to replace this source of security, a free fall into uncertainty might be quite painful to the point that it might feel like death. 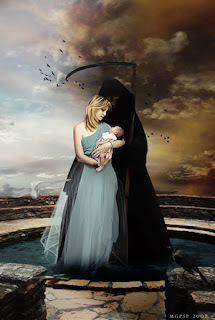 When I have studied various religious systems there is often a great deal of time spent on making sense of death. By far, the facing of and the experience of death dominate the stories and myths of the ancient world. It is the dominant theme of the Christian religion. Jesus dies so that we can live. Spiritual growth is presented as death to self so that Jesus can live within the life of the believer. In many ways the realization that we have no control over the complex world we live in is a death to self. It is a realization that we are not gods. And the more that I have studied science, the more acute this realization has been. Now, when I have given up the need to have all the “answers”, much of the fear of uncertainty has gone away. When I accept the world as it presents itself, there is a renewal of the life experience that transitions from fear to curiosity. I no longer waste energy on things that present no immediate solution. Once I admit that I don’t know, and learn how to accept that, I get to step down from trying to be god-like or “like Jesus” and become simply human. This surrender to the reality of my humanity could be seen as a death of the ego “self” that needs to know and assumes responsibilities that only a god could have. This acceptance of one's limits could be seen and felt as a re-birth. One becomes free from taking on god's job. Let me give a little history of why this book was written and why I think it is an important book to read and understand. Often this type of book is seen as an attack because, understandably so, it begins to dismantle some very deeply held illusions that many people consider to be real. They associate these illusions with some very real positive changes in their lives. I recognize that Christianity, for some people, has been a transformative experience and this experience is rooted deeply in a belief in a real Jesus. There have been 2000 years and millions of people dedicated to this myth. This is quite a momentum of thought and energy. But consider, for a moment, that this Jesus myth, like so many others that we have changed, is not based on what we thought it was. In dismantling the commonly held beliefs around the historical Jesus there is a real danger of losing the benefits of the Jesus myth. I don’t believe there is an individual danger in the long run because I recognize that the truth does set people free. I do recognize the need for inspiration within people’s lives. There is a need for mythology and storytelling that taps into the deeper self that may be lost to the default modern secular myth of happiness through consumption and wealth. I have observed that when these myths become treated as real and one person’s or group’s myth is imposed on others, then the worst aspects of human behavior become revealed. In almost every religion that I have studied, when the orthodox branch of that religious system comes into power, violence emerges as the means of “conversion.” In most cases, when the mystical, non-orthodox branch is in power, conversion happens by attraction and a manifestation of compassion, empathy, and curiosity. Unfortunately, in most cases, the mystical branch is destroyed through violence and is portrayed by the victors as deserving of the application of violence. This violence can take the form of torture, often for rather minor “offenses.” This occurs in pagan and other non-christian systems of belief as well as within the history of Christianity. That brings me to this point. Since the violent branch of Christianity, in the form of Imperial and Papal Rome won the battle of ideas, we have a very distorted view of the opposing forms of Christianity and Paganism, because many of the writings were destroyed. We have the classic example of the "winner gets to tell the story." What we do have left from these more mystical branches of Christianity is often only available from the writings of their orthodox enemies. And in presenting a case for the origin of Christianity it is often stated that pagan practices of the time were actually taking from Christianity and applying Christian beliefs heretically rather than the other way around. Many of these pagan practices and beliefs looked like Christianity. They include the virgin birth, a Savior who is the son of god, who is heralded by a star, born on Dec. 25th, baptized by a baptizer, is raised from the dead, is the light of the world, the lamb of god, etc. This is why the author D.M. Murdock of “Christ in Egypt” went to Egyptian sources of these shared myths, since these clearly predate Christianity. She has also been accused of not providing enough documentation for her claims. This book provides over 900 quality sources for the information provided including translations from scripts on tombs, monuments, writings by Christian Church fathers, the Egyptian book of the Dead, and many other ancient and modern scholars. The book is almost 600 pages long and is extensively foot noted with expanded descriptions and further sources. I, along with many other Christians, was taught that Christianity was a completely new movement raised up by Jesus, the 12 disciples, and Paul. What D.M. Murdock does in the book “Christ in Egypt” is to show that most of the themes presented in Christianity were drawn from ancient pagan sources in a manner that was very common in the ancient world. She shows how Christianity was an evolution of religious belief, not a revolution. It came from and practiced many aspects of theology that had its roots in the worship of the sun. 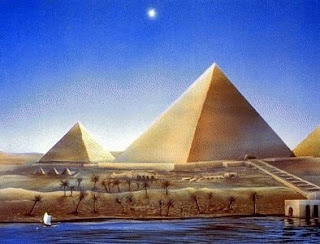 It was formed from a syncretism of Egyptian, Hebrew, Greek, and various mystery religions. This is important because, once we come to the awareness that these myths are not based on certainty and don’t involve eternal life and death issues, we might stop killing in the name of religion. Maybe we can explore the more rational and compassionate principles illustrated by various myths, rather than simply following textual and institutional authority formed from beliefs in iron age ethical systems. Maybe we can step back and develop some awareness of the people around us and learn how to interact in ways that encourage each person to grow using internal guides rather than external force, intimidation, and desires for control. A more detailed summary of “Christ in Egypt – The Horus-Jesus Connection” by D.M. Murdock will follow in my next post. My father, a beautiful human being. I haven’t done a blog post for a number of months. It has been because my father passed away suddenly before Thanksgiving. I was also in the midst of moving my office. Both of those events took all of my energy and during the first of this year, it has been hard to concentrate. I have to admit that I continue to grieve my father passing. It has been hard to put into words all the feelings that I have around this transition. I admired my father. My father wasn’t the sort of father who would sit down and talk. He would often give insights into what he thought was important through sharing stories of his work and growing up, but these tended to be directed to a general audience. He much preferred actions and simply sharing an activity together. He was surely a product of his times and he stayed true to that ideal honestly. He had just turned 75. Here are the stories as I remember them. In the stories he told of growing up he revealed a commitment to inclusiveness. His family gave a home to a Japanese boy while his parents were interned during World War II. This boy became one of his best friends. He told stories of refusing to take his car on outings for his friends unless everyone could go and this would often include the awkward and not so popular. He also had a strong sense of justice and fairness. 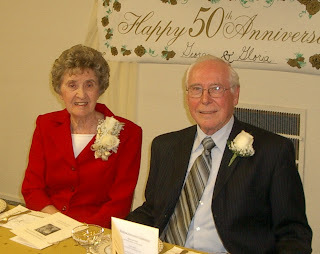 When he found out his sister was being mistreated by her husband he walked into their house and knocked her husband out even though my dad was 17 and her husband was a lot older. When he was asked to get something to be spanked with by his teacher, and he didn’t do what he was being accused of, he brought back a stalk of wild wheat. The teacher then asked him to get something more substantial and he came back with a 8 foot long two by four. By this time the teacher had to laugh. He was willing to give up his job as a principal to stand by a teacher that he thought was being treated unfairly. He drove a Harley Davidson. He bought a T-bucket hot rod. He out ran the police. He got stuck in Lodi and traded his broken down car for a Vespa to get back home to Mountain View. He learned Judo and sparred with a national champion. He was hit in the head by a wrench thrown by a man stealing his battery. When the man rushed him, he broke his arm and made him put the battery back in. He played semi-pro baseball. He was the first in his family to graduate from college. And I sensed that he didn’t consider himself very smart. He had great intuition and often revealed much more insight through his choices than he let on. He didn’t do a lot of explaining, but spent his energy doing. He sold a million dollars worth of baby formula. He was a teacher and principal for over 30 years. He was well liked and respected. You didn’t mess with him. He was very kind and had a big heart. He would be very troubled if he felt he was at fault and faced many difficult changes as the world moved into different times. Many times he was ahead of his time and this caused him a lot of pain. He was misunderstood at times and faced false accusations. He was extremely loyal and held to his commitments as best he could. 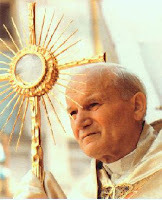 He struggled with his religion and concepts of God and remained loyal to his church. He was also very sensitive to anything he considered himself doing wrong and remained silent about a number of burdens he carried for himself and others in his family. If any of you have been following my blog, you will know by now that I am an agnostic as far as God is concerned and an atheist in regard to the god described in the Bible. My father knew this and I believe judged himself around this. I believe this is the reason that so many people wait to reveal their unbelief to their family if they are Christian. In my case, the dishonesty on my part, began to make me ill. I risked sharing this with my parents. My father never expressed any anger around this at all, but I could tell it caused him pain. In the end he came over to the house and we talked and I think we understood where each other was coming from. We weren’t able to put it into words, but the fact that he was there and reaching out to me was enough. He told me he didn’t care what I believed or didn’t believe. I know my father loved me very much. I got to take my father sailing and the last time I talked with him he was on the golf course with the next door neighbor having a great time. He was very excited that I called and I invited him to Thanksgiving dinner. He expressed that he would really like to see my new office, once it was done. A few weeks later he was delivering a car for a dealership because he loved to drive cars. He stopped because he was thirsty and died suddenly while purchasing a soda. His was a very human life. I don’t want to say godly, because I don’t believe in that god and god would never have expressed the life that my father did because god wouldn’t do some of the things my father did. And its those bold, impulsive, passionate actions that reveal who my father really was and are some of the things I love the most about my father. If my father was perfect, like god, these would never have been revealed. His was a well-lived life and the earth has been made a better place because he was on it.